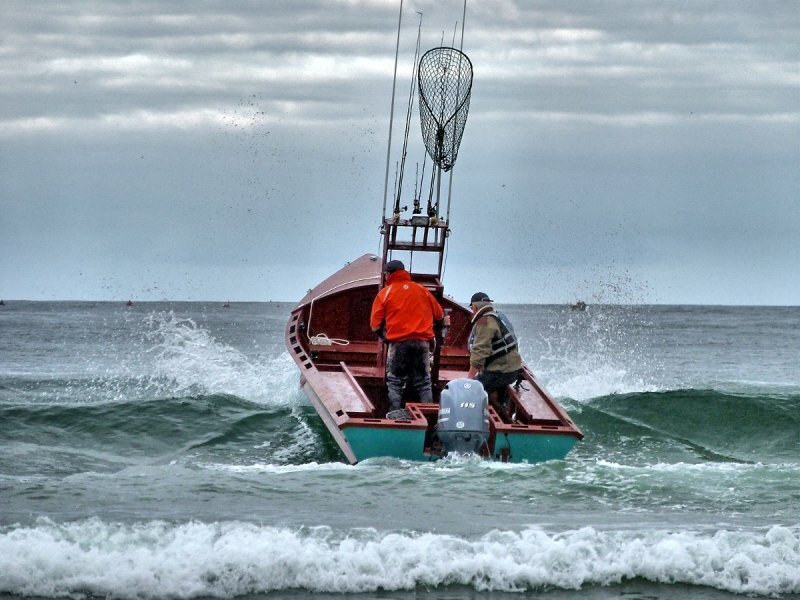 KAPETAN was launched May 29th, 2016 off the beach she was designed to break through waves to the sacred fishing grounds of Pacific City, Oregon. Wood used in construction was all made with Sapelle. Two years of building in my garage with loving support of my wife, Lynn, led to this classic replication of the wooden boats used at this traditional launching and fishing grounds for over the last 100 years.